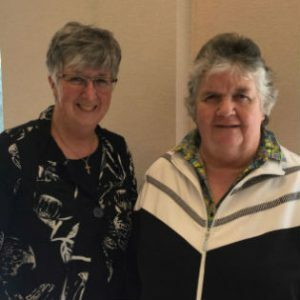 The Sisters of Charity of Australia have now been a member of UNANIMA International for eight years, partnering with our sister Congregation, the Religious Sisters of Charity. 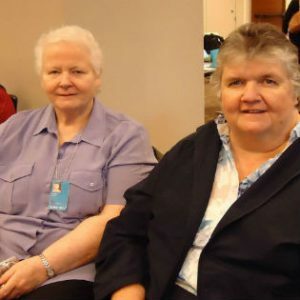 Sr Pat Kenny (then of the English Province) was the inaugural board member, then I took on that role after four years and now Sr Pereka Nyirenda (Zambian Region) will be the board member from 2019. We have seen a star in the north and it has led us to this space. 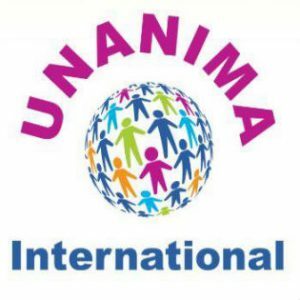 Founded in 2002, its name begins with “UN” to represent the United Nations, and the “ANIMA” is from the Latin word for feminine “spirit” or “life principle”, indicating that the organisation is bringing the feminine spirit to the UN, and (as it brings to mind the word, “unanimous”) that it represents a group acting with one heart and mind and spirit. Advocating on behalf of women and children (particularly those living in poverty), immigrants and refugees, and the environment, UNANIMA has NGO (Non-Governmental Organisation) status and is connected with the United Nations through special consultative status with the UN Economic and Social Council (ECOSOC). Because of this status, UNANIMA can influence UN debate by proposing items for the draft agenda, submitting written statements, and making oral presentations at various UN functions. 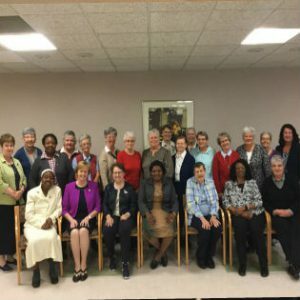 On the ground, UNANIMA’s unique membership consists of 21 Congregations of Catholic Sisters whose 22,000 members work in over 80 countries. UNANIMA brings the voices, concerns and experiences of these women at the grassroots to the United Nations. One highlight of belonging to UNANIMA International has been the annual Woman of Courage Award. The honour is bestowed upon a woman who has taken a stance for justice despite significant obstacles, tremendous grief, or threats to her personal safety. The 2018 recipient of this award is María Elena Herrera Magdaleno. María lives with the tragedy of having lost four children to enforced disappearances in the fallout of the Mexican War Against Drug Trafficking, which was organised in 2006 in order to fight drug cartels but unleashed a wave of violence, insecurity, and human trafficking. Through this deep pain, María Herrera Magdaleno has transformed herself from a victim to a seeker of missing persons, a human rights defender, a promoter of unity and mutual support among groups of families seeking a loved one who disappeared in Mexico. The 2019 Woman of Courage Award will go to Mary McAleese, President of Ireland from 1997 to 2011, when she worked towards justice, social equality, social inclusion, anti-sectarianism and reconciliation. She now advocates for similar hopes in our Church. The 2019 Woman of Courage Award will go to Mary McAleese, a former President of Ireland now advocating for justice, equality, inclusion, anti-sectarianism, and reconciliation in our Church. Once again, Mary’s words echo my experience: the deep awareness of so many women throughout our world walking in the footsteps of Christ and extending his values and vision. Another highlight has been UNANIMA’s focus on women and children. For many years UNANIMA conducted its Stop the Demand campaign, aimed at raising awareness about human trafficking especially for sexual gratification. All Congregations in UNANIMA now have the eradication of trafficking of persons as a priority and many are members of coalitions such as ACRATH (Australian Catholic Religious Against Trafficking of Humans). At a recent Board Meeting, we made the decision to develop a new campaign. Next year, UNANIMA will research the issue of homelessness of women and children, looking towards advocating for a UN definition of homelessness and a United Nations special rapporteur for homelessness, and raising awareness of this world-wide injustice. This space of UNANIMA International provides the opportunity for us to walk with so many others into a tomorrow where our God awaits us and provides for us.